The nightly ritual of watching the sun set on Uluru. The colours range from the dull orangey red of the day to brilliant orange, red and then mauve before it goes dark. 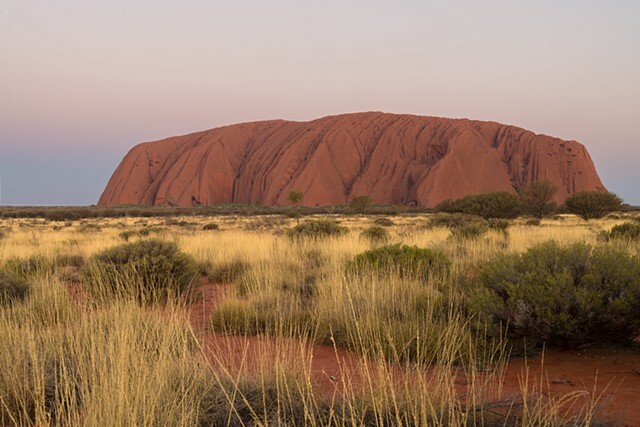 Although I've seen many images of Uluru at Sunset, I was amazed at the textures all around it, as well as the size of it, totally a once in a lifetime thing that is bucket list material.